Explore how large corporate and private donations are impacting America’s judicial composition and decision making process. In this edition of The Journal, a detailed look at how campaign cash used for judicial elections can influence the courts of America. 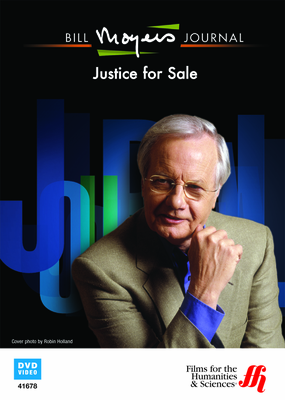 The program revisits the Frontline special entitled �Justice for Sale.� Following this segment, journalist Jeffrey Toobin joins Bill Moyers to discuss the impact that the Supreme Court�s Citizens United decision will have on the unethical relationship between judicial elections and big money. In the decision, the Supreme Court ruled that the First Amendments protects the rights of labor unions, associations and corporations to spend money for independent political purposes (not direct contributions to a candidate�s campaign). The decision allows organizations to sway public opinion using methods like advertisements. The ruling overturned a century old precedent which allowed the federal government to regulate this type of political spending. The ruling greatly influenced how unions and corporates can spend money to support a candidate indirectly and influence public opinion during an election.